The tapping journey has come on a long way since the late TFT founder Dr. Roger Callahan “cured” Mary's water phobia by tapping under her eye in the 1980s. Since then energy-pioneers such as Gary Craig, Silvia Hartmann, Robert. 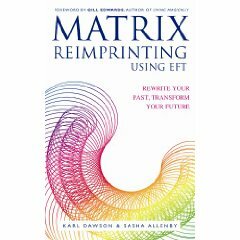 G. Smith, Rehana Webster, Dr. David Lake, Steve Wells, Karl Dawson, David Feinstein and Dr. Dawson Church have continued to evolve the field, giving us new tools and methods such as Modern Energy Tapping, Energy EFT, Classic EFT, Positive EFT, Faster EFT, TBT, Clinical EFT and Matrix Reimprinting. This article explains some of the developmental history behind the tapping techniques and how they compare and contrast with each other. The GoE has compiled this article in good-faith from many different sources. If you spot an error please do contact us. Dr. Roger Callahan was the original founder of tapping techniques and the person who discovered that by tapping on meridian points on the body, people started to feel better. Callahan then had the brain wave to ask Mary to think of the fear whilst tapping under her eye, which according to ancient energy body maps is linked to the stomach. Without any other treatment, Mary suddenly exclaimed "It's gone! My fear of water, it's gone! I don't have those awful feelings in my stomach any more!" Over 30 years later, Mary is said to remain completely free of her phobia. Callahan began experimenting with tapping meridian points and soon discovered that by bringing in other meridian points to tap on he could increase his success rate from an alleged 20% to 97%. 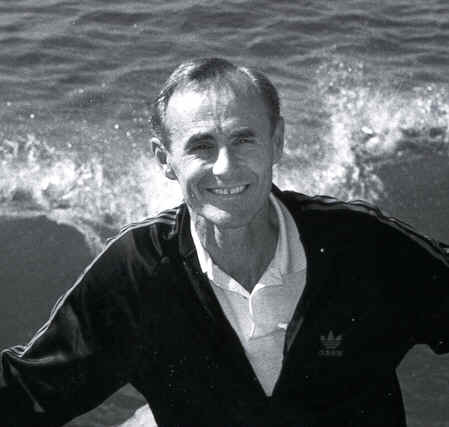 His ideas were initially known as “Callahan Techniques” but later became Thought Field Therapy. 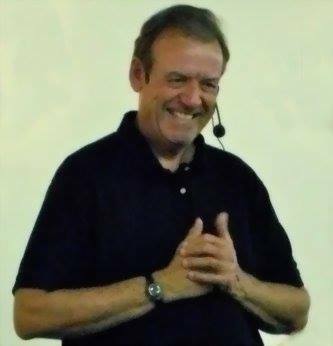 In 2015, Dr. Roger Callahan's widow Joanne M. Callahan announced new improvements to the classic TFT technique to manifest positive emotions in a similar way to the developments Silvia Hartmann made to Gary Craig's Classic EFT when she released her books Energy EFT (2012), Positive EFT (2013) and also the Energy EFT Master Practitioner Course. In 2016, TFT was listed as an evidence-based practice in the SAMHSA (Substance Abuse and Mental Health Services Administration) registry (NREPP) which is an agency within the United States Department of Health and Human Services. It was found to be effective in three areas: Trauma and Stressor-Related Disorders and Symptoms, Self-Regulation and Personal Resilience/Self-Concept. The GoE does not offer TFT trainings because we believe that both Classic EFT and its successor Energy EFT offers a much more affordable and easy to learn way of practising tapping for self-help or in a professional setting. Born April 13, 1940 in the US, Gary Craig is a Stanford Engineer, Ordained Minister and NLP Master Practitioner. In 1991, Gary Craig became a student of Dr. Roger Callahan, founder of TFT and over the next few years he began to devise EFT as a "one stop protocol" that would cover a multitude of problems by virtue of the concept of total redundancy. Rather than matching a problem to a tapping sequence, with EFT we only use one sequence and tap all the points for every problem. This is easier to learn and also takes the intuition out of the treatment flow making results more reliable to replicate. Another major difference between the two techniques is that TFT uses “muscle testing” as part of the treatment flow for gauging unconscious resistance, however Gary Craig decided to remove this as it is “loaded for potential inaccuracy”, especially in the hands of beginners. Having recently retired from his investment business, Gary Craig was thinking that some kind of EFT consultancy would be a “fun activity” and since he didn't need the extra money he could do it for free. 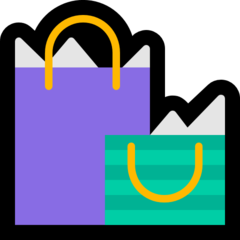 EFT began to grow mainly from word-of-mouth advertising as people recommended it to each other, both in person and on newly formed Internet message boards. Gary Craig also started a newsletter and encouraged contributions and case stories of the vast range of EFT success stories people were emailing in. EFT was very much founded on an “open hand” policy where Gary Craig would actively say “blend it with other methods” or “innovate with it as you please” - without asking for any royalties or imposing any legal restrictions. 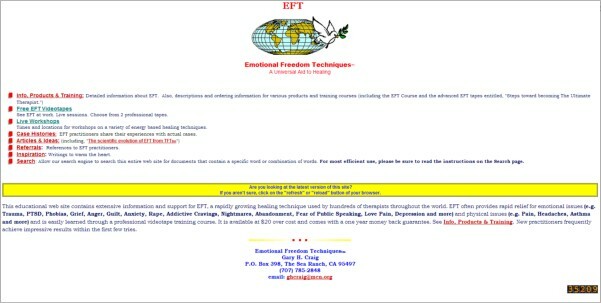 In 1998, Gary Craig's EFT website www.EmoFree.com is first recorded coming online with the domain name being registered a year earlier. Gary Craig generously offered a free video tape of "EFT Case Histories" or "6 Days at the VA" for anyone who asked. For sale was the 1995 "The EFT Course" video set for $170.00 USD + shipping and also his brand-new "Steps toward becoming The Ultimate Therapist" video set for $295.00 USD + shipping. At this point, Gary Craig was also trademarking the phrase "Emotional Freedom Techniques". Homepage of www.EmoFree.com saved by the Internet Archive on 7th December 1998. Click to see bigger image. In the autumn of 1998, three little letters kept cropping up all over my hypnotherapy related Internet groups - EFT. 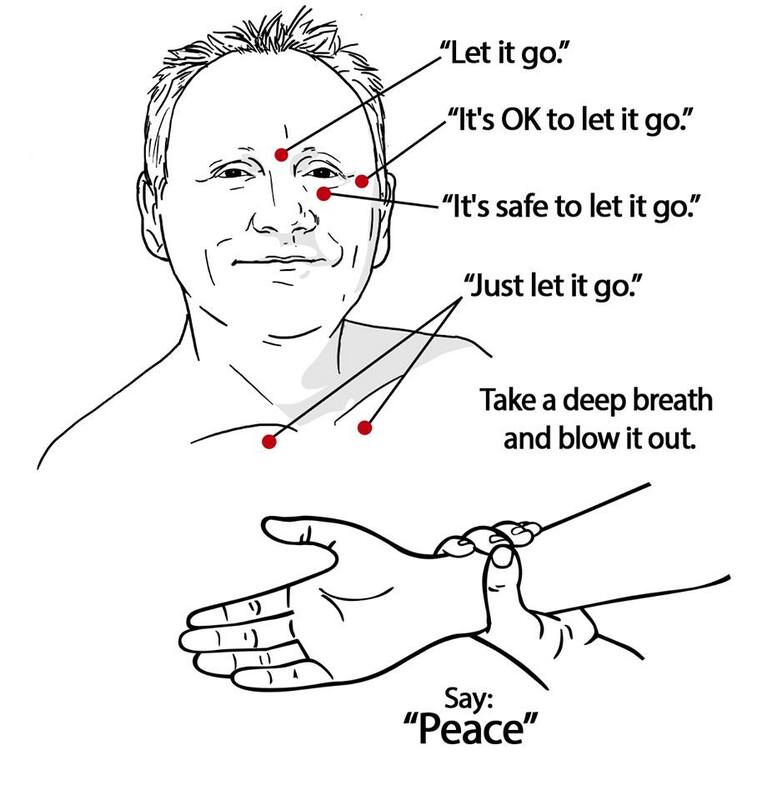 Apparently, this stood for Emotional Freedom Techniques and people were simply raving about it. It got so bad that the moderators forbade mention of the technique because discussions on its use were monopolising lists that were originally set up for hypnotherapists, neuro-linguists and personal development strategies in general. I knew some of the people who were so excited and enthusiastic about this new thing and couldn't help but wonder what on earth could be so amazing. Eventually, I visited the website www.emofree.com and that same night, I phoned the States and ordered a copy of the basic course - 11 videos, 4 audio tapes and a thick manual. People began asking for a professional EFT training course, with certification provided by a professional body that regulated members and ensured they adhered to the code-of-conduct governing their ethical and professional behaviour. This was required so that EFT practitioners could gain insurance to practice. Responding to this need, and also in 1998, Silvia Hartmann & Chrissie Hardisty founded “The Association for Meridian Therapies” (The AMT), whose mission was to nurture and promote the “emergent” field. The name was later changed to "The Association for Meridian and Energy Therapies" in 2006 and finally to The Guild of Energists (GOE) in 2016. Also in this year, a group of American Psychologists founded "The Association for Comprehensive Energy Psychology" (ACEP). Hartmann then wrote the original professional EFT training known as the “Meridian Energy Therapy Practitioner” (MET Prac) through which an estimated tens of thousands of EFT practitioners gained certification. The GoE considered EFT to be "the ambassador of modern energy techniques" and so it was the main focus of the course. 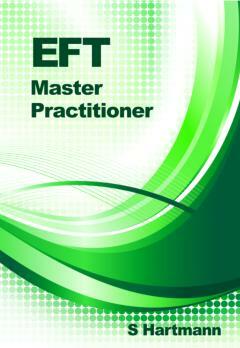 This qualification allowed EFT therapists to apply for practice insurance for the first time. In 1999, Silvia Hartmann published the first book on EFT called "Adventures in EFT: Your Essential Guide to Emotional Freedom", which 15 years later is currently in its sixth edition. 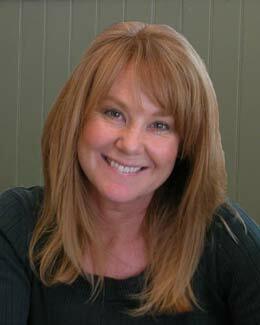 Gary Craig praised "Silvia's masterful work" and ACEP's Patricia Carrington called it "The best book written on EFT". On the 11th February 1999src, The GoE launched its first website www.MeridianTherapy.co.uk, changing domain name to TheAMT.com in 2001 and then to GOE.ac in 2016. 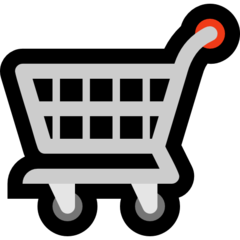 On offer were free downloadable "EFT On A Page" translations in many languages. 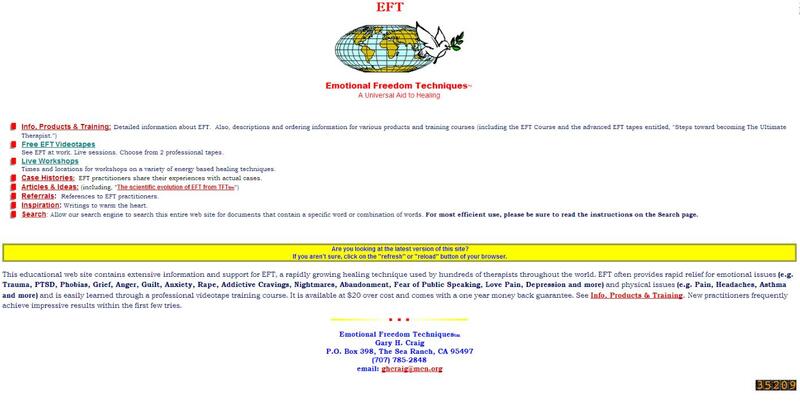 The aim was to help people from outside the USA and also introduce the non-English speaking world to EFT. 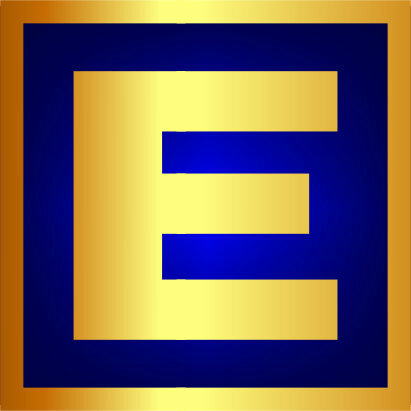 The GoE has been publishing and archiving news and articles from the energy world ever since, with The GOE's journal "The Energist" currently being sent monthly to members and guests. In April 1999, the first GoE European EFT & Energy Therapies Conference was held at the Meridian Hotel in Gatwick, UK. Since 2010, The GOE's annual GoE Energy conference has been held every October or November. Also in 1999, one of The GOE's original trainers was expelled from the organisation and this person setup a splinter group in the UK under a similar name to "The AMT". However, they did not possess the required talent to write their own EFT manuals so instead they plagiarised The MET Prac qualification for several years up until at least 2005. They also offered professional practitioner membership to anyone who emailed them without completing any formal training. Right from the beginning, The GoE decided that professional members must complete professional training and also agree to the GOE's code-of-conduct & ethics before being recommended to members of the public. 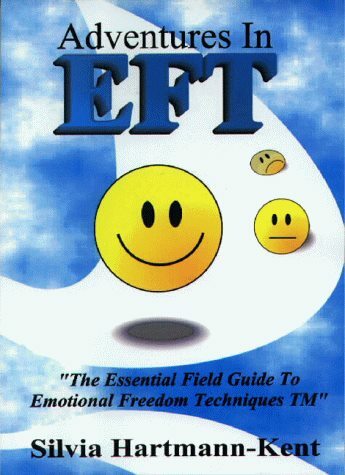 In 2000, Gary Craig launched his first non-video product called The EFT Manual which he made available for free download as an eBook. 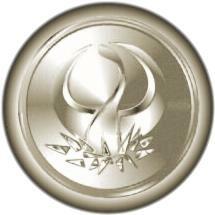 This accelerated the growth of the technique alongside Gary Craig's "Open Hand" policy. But with that looseness of control different parts of the EFT community had different ideas for the direction of the technique. The GoE and ACEP continued to promote professional standards for EFT practitioners, but others thought that to grow quickly was better. There was also a divide growing about almost theological questions, such as whether EFT should be considered a part of Psychology (aka "Energy Psychology") or whether it should be its own field, and is EFT an energy-based technique where tapping on meridians releases stuck energy, or is it just a very effective "pattern interrupt". In 2002, Silvia Hartmann decided to leave the EFT community to develop her own energy technique called Energy-in-Motion (EMO, Emotional Transformation or EMO) but left a parting gift which was her book "The Advanced Patterns of EFT". From 2002 to 2011, the GoE stayed well outside of EFT politics to focus on the mission statement of training high-quality professional EFT practitioners and to also promote the field. Also in 2005, Dawson Church started offering his own version of tapping called “Clinical EFT” which is “approved for CE credit for doctors, nurses, psychologists and social workers”. Dawson Church and his colleague David Feinstein began using Clinical EFT as the engine behind their efforts producing scientific studies and research culminating in EFT meeting the American Psychological Association (APA) Division 12 Task Force on Empirically Validated Treatments. 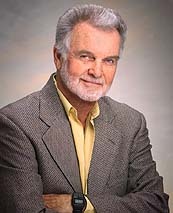 Concerned about differences between EFT trainings, Gary Craig attempted to tighten his “open hand” policy in 2008 and introduced the “EFT Certification Program.” Gary Craig also decided to withdraw his support from EFT courses and qualifications that he had previously supported causing the EFT community to fracture into separate groups. Afterwards, Tina Craig, Gary Craig's daughter, created a multiple-choice series of EFT exams providing Academic EFT Certification. However, the EFT horse had very much bolted the stable so Tina Craig's course became just one of many being provided. During 2009, the fun of being the founder of EFT started being eroded by the negative criticism from a tiny percentage of highly vocal individuals. Gary Craig also talks about the barrage of questions he was receiving on all sorts of topics and all sorts of issues from many languages and countries world-wide. Finally, his physician told him that he had a heart attack although he had had no symptoms. 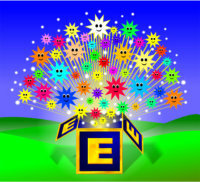 With Gary Craig's retirement came the potential loss of over ten-years of EFT articles and case-histories on his www.EmoFree.com website so Dawson Church setup an organisation called “EFT Universe” to host this content. This went live on the 5th June 2010. EFT Universe also updated Gary Craig's EFT Manual and became an EFT certifying body training over a thousand practitioners in three years. After Gary Craig initially stated he didn't want to endorse any professional EFT provider over another, he later announced that his daughter Tina Craig was his preferred choice who brought out her own new "ACEP EFT Certification Program" through the USA organisation ACEP. This program ran until Tina Craig's contract with ACEP expired in 2015 and the course was placed on hold. In 2011, there was a real need for a new direction for the EFT community to bring the field together so Silvia Hartmann returned to the EFT stage by writing in coordination with the GoE trainers a new professional three-day EFT course called the "Energy EFT Master Practitioner" qualification (EFTMP). The course proved to be popular. As of March 2016, 1,132 people have gained Energy EFT Master Practitioner status and chosen to become full-members of the GOE. 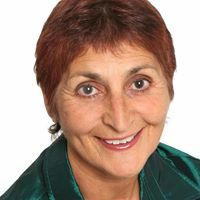 In 2012, Silvia Hartmann wrote the book "Energy EFT" to introduce classicly trained EFT practitioners and EFT self-helpers to the new methods and techniques. Both the Energy EFT Master Practitioner Course and Energy EFT book are congruent that EFT is an energy modality and energy techniques should be a distinct and separate field to that of psychology. 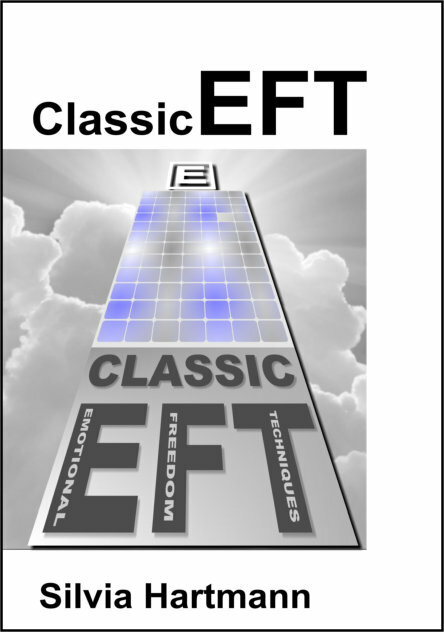 The release of Optimal EFT in 2014 signifies the end of development of Classic EFT. In 2016, GoE published the comprehensive book Classic EFT Tapping which contains Silvia Hartmann's seminal and now out-of-print titles Adventures in EFT, The Advanced Patterns of EFT, Easy EFT and EFT & NLP. 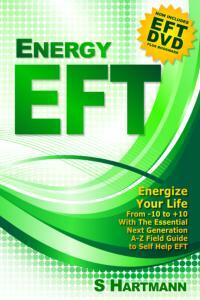 Also included in this collection are key articles about the evolution from Classic EFT to Energy EFT. This title is over 550 pages and 165,000 words in length and therefore is recommended for energy researchers and energy historians. 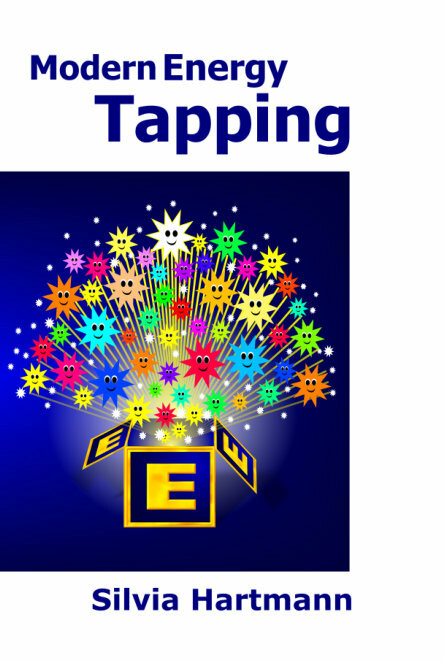 The GoE recommends that beginners start their tapping journey with Silvia Hartmann's book Modern Energy Tapping, or attend a Modern Energy Tapping Foundation training. Modern Energy Tapping is Silvia Hartmann's successor to both Energy EFT and Positive EFT, effectively combining them together into one set of techniques. Modern Energy Tapping has a focus on obtaining high-energy states on the Modern Energy Chart, known as "reaching +10". 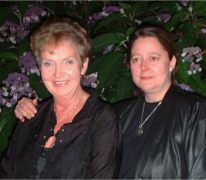 Silvia Hartmann was heavily involved with Classic EFT in the 1990s, wrote the original and much loved book on the technique “Adventures in EFT: The Essential Field Guide to Emotional Freedom Techniques” and also introduced EFT to the United Kingdom. In 1998, Silvia Hartmann and co-founder Chrissie Hardisty started The Association for Meridian & Energy Therapies (The AMT), later renamed to Guild of Energists (GOE) in 2016, to be the original certifying body of professionally trained and insured EFT practitioners. Hartmann spent many years promoting and furthering EFT which culminated in the masterpiece “The Advanced Patterns of EFT”. At the Oxford 2002 Energy Conference, Silvia Hartmann presented her own energy technique called Energy-in-Motion (EMO or EMO) which offered people a more direct solution for energy healing without tapping. Silvia Hartmann laid down 51 fundamental principles of energy, known as the EMO Primer, which are the foundations of the technique. "Everything works better with EMO"
Some developments during the naughties were made to work with Classic EFT, such as the “EFT Body Protocol”, but overall Silvia Hartmann thought it would be disrespectful to Gary Craig to overhaul his technique to engineer out long standing problems such as “apex affect”, unpredictable “one-minute-wonders”, only working with negative opening statements and only measuring negative emotions within clients using the SUD Scale. All this was to change in 2010 when Gary Craig announced his retirement from EFT. At a meeting with GoE Trainers the decision was taken to create Energy EFT. Hartmann took classic EFT as it stood, disassembled it and began rebuilding it from the ground up to be based on the principles of energy discovered through years of testing EMO. Hartmann also introduced several key concepts from her work on Project Sanctuary & Events Psychology. 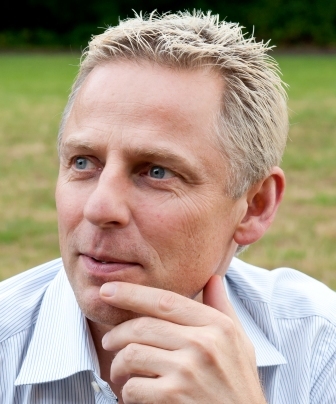 Hartmann wrote the Energy EFT Master Practitioner training course for The GoE and first presented it at the 2011 GoE Energy Conference. Over 12 units, students are taught to practice “Energy EFT” in a professional setting whilst also using the technique to build confidence and empower themselves. 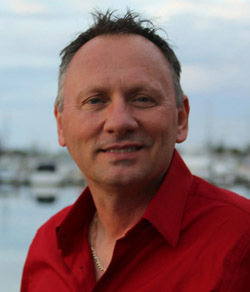 In February 2012, Hartmann refined the key concepts into a consumer-focussed book called “Energy EFT: Next Generation Tapping & Emotional Freedom Techniques” which is now the required reading for students enrolling on the Energy EFT Master Practitioner course. One of the key advancements of Energy EFT over Classic EFT is the use of the SUE Scale which gives practitioners the ability to measure positive and negative subjective emotional states within their clients. After working with Energy EFT and increasing the energy flow beyond the limitation of Classic EFT, practitioners started reporting that it wasn't always necessary to clear negative emotions before promoting positive ones. This went against the traditional thinking at the time, especially for Freudian-trained therapists and psychologists who were trained to always look for past traumas that "needed clearing up". After researching this new phenomenon, in 2013 Silvia Hartmann released a consumer-focused book and corresponding one-day GoE workshop called "Positive EFT" which focuses on raising energy using the "Heart & Soul" tapping protocol developed for Energy EFT. The GoE started the "GoE Rosetta Project" in 2015 whose aim was to make key documents, manuals and images available in multiple languages. Within just a few weeks, the basic Energy EFT protocol-on-a-page was available for free download in 17 languages. In 2016, Silvia Hartmann wrote and illustrated a new introduction training called Energy EFT Foundation which is available in English, Turkish & Dutch languages, with Portuguese in the pipeline. In November 2016, this new course will become the prerequisite training required to attend the Energy EFT Master Practitioner. Note: If you'd like to use this diagram please see the EFT Heart & Soul Protocol Page which includes copyright information. Please note that this table presents just some of the differences between the two techniques. If you already know Classic EFT well then please read the book “Energy EFT” by Silvia Hartmann for further information. Subjective Units of Distress (SUD) which is a linear scale between -10 (really bad) to 0 (feel nothing). We use tapping to dissipate bad emotions, which according to Gary Craig creates a vacuum that positive emotions tries to fill. Subjective Units of Experience (SUE) which is a linear scale between -10 (really bad) to +10 (really good). We use tapping to dissipate bad emotions like we do with classic EFT, but once the problem is no longer an issue we switch to promoting positive emotions. Energy EFT is very much known an energy-based modality where practitioners believe that energy flows through meridians in the body and that tapping on points frees up blockages that may be impeding flow. Classic EFT tends to leave the theory behind the tapping to individual practitioners and trainers, hence there is a wide range of viewpoints. Energy EFT practitioners work directly with the energy and emotions (as opposed to the Mind or Body of the human totality) which may or may not have physical or mental healing benefits but these can never be promised. Classic EFT has made claims of medical cures. Energy EFT practitioners write-up “Case Stories” which includes an emotive language description of the problem and the session so that the reader can “feel” what emotions are being worked on and how they were resolved. Classic EFT practitioners write up “Case Histories” which are factual and void of emotion. 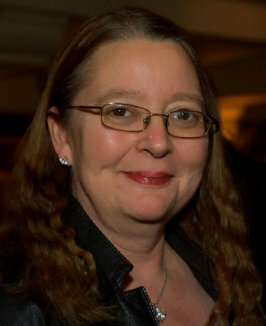 Silvia Hartmann developed Energy EFT in 2011 to be a drop-in replacement for Classic EFT following the originators retirement from the field in 2010. One of the key advancements beyond Classic EFT with Energy was the adoption of the SUE Scale (-10 to +10) for measuring negative and positive subjective emotional states, so we can tell how sad OR happy our clients are and whether they are improving or not. Once EFT practitioners began to work with this scale, it became obvious that tapping had as much place dissipating unwanted emotions as it did promoting and building up positive ones. With the Energy EFT treatment flow, we work on a problem until the client gets to around zero on the SUE Scale meaning the problem isn't a problem any more. 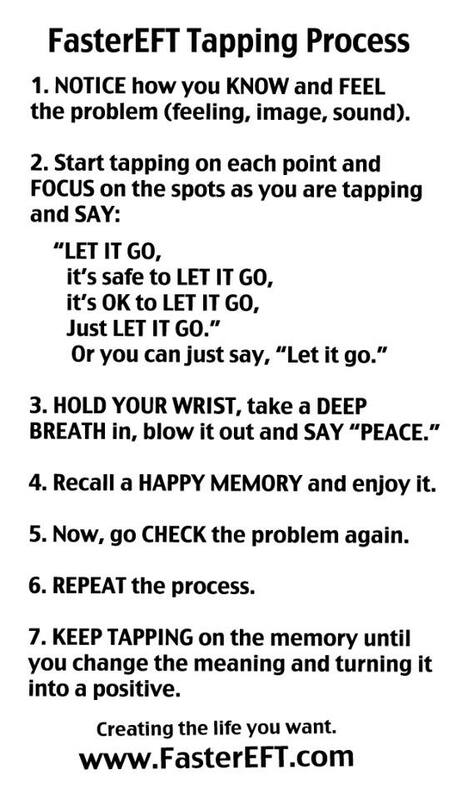 With Classic EFT, this would be the end of the treatment, but with Energy EFT we then switch to promoting a positive setup statement and then use tapping to increase energy flow until we are as close to +10 as possible. It wasn't long before Energy EFT practitioners started reporting that they could short-cut working on the negative setup statement if they chose the right positive setup statement and just used tapping to increase energy flow. The book “Positive EFT” by Silvia Hartmann was published in 2013 and was very different to other books on tapping in that it wasn't written for people wanting therapy and seeking to fix the past. Instead, it is very much future orientated on what you want for your life right-now. The GoE began recommending Positive EFT for introducing children, individuals and groups to tapping techniques as it's much safer and enjoyable to focus on your current needs, dreams and ambitions than to drudge and stir up the past to demonstrate its effectiveness at then dissipating them. Demonstrating Classic EFT at trade shows was often akin to lighting a fire in someone's living room to show how great you are at putting it out. 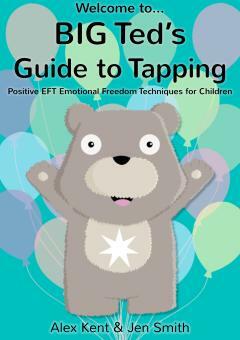 Later in 2013, Alex Kent & Jen Smith published a book on Positive EFT specifically for young children called “BIG Ted's Guide to Tapping”. 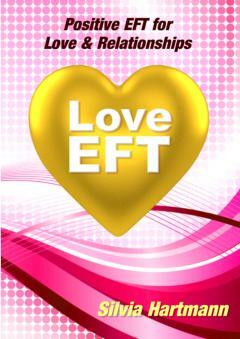 On Valentines Day 2014, Silvia Hartmann released an additional book on the subject of Positive EFT called “Love EFT: Tapping Positives for Dating, Love & Romance”. Positive EFT heavily influenced the GoE Energy EFT Foundation course, which was released in 2016. The GoE now recommends people wanting to learn Positive EFT to enrol on the GoE Energy EFT Foundation course. Gary Craig, developer of classic EFT, announced his new technique "Optimal EFT" in April 2014 which is said to be a combination of meridian tapping, "Spiritual Principles" and Quantum Physics. 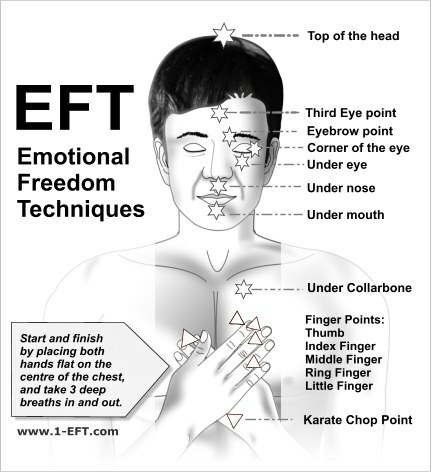 Described as the “ultimate goal” of EFT, the technique is designed to use EFT tapping to remove blocks and offer the user enhanced spiritual awareness. The fundamental aim of Optimal EFT is to “Remove the blocks of awareness of Love's presence” and to create “personal peace so profound that it provides a launching pad for spreading true harmony throughout the world”. Optimal EFT has not been designed as a healing technique for professional Energists, instead it has been designed to “elevate your Loving levels, rather than your clients”. This presumably offers the Practitioner better understanding of the clients issues and helps them to pass on this new found understanding to them. As of the first announcement on Optimal EFT, there is little known about the process, other than that is combines “Spiritual Principles” such as the belief in a “Creator” and the idea that “birth, death and disease do not really exist and neither does time nor space”, with Quantum Physics and tapping. Craig has written an Essential Intro to the technique, which offers some of the principles behind it, with the promise of more information to come soon. 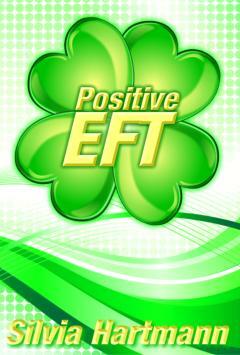 Faster EFT stands for "Faster Emotionally Focused Transformations" and was developed by Robert G. Smith. My training in NLP got me curious. I wanted to help these people get over and past their traumas and move into productive lives. What struck me was how they were able to instantly recall traumatic event which were decades old and still produce the same bodily sensations. I started using my NLP skills to figure out how the sufferers were using their brains to recreate the past traumatic events. In order to change those pictures in their heads, I showed them how to change the VAKs (visuals, auditory, kinesthetic) modalities of the pictures. This had immediate and dramatic results. Having trained with Gary Craig to EFT Master level, I observed how Gary also used NLP techniques in his EFT (Gary is also an NLP Master) tapping technique. It was apparent to me the tapping was a powerful bio-mechanical pattern interrupt. Tapping on the meridian points interrupted the neurology enough to reduce the cortisol levels which neutralized the feeling and emotions attached to the traumatic memories. I continued use the tapping along with the NLP and made easy to teach and learn for my clients. The results were astounding in eliminating the symptoms of PTS and the TBT procedure worked 99% of the time. I continued to modify and fine tune the process and have used in in several countries and cultures with amazing results. TBT can be used for any type of trauma, be it large or small, recent or old. Works every time. Simple Energy Techniques (SET) is a collection of simple and user- friendly energy techniques, which can provide significant relief for a wide range of emotional problems, and some physical problems. Although the techniques are simple to use, the results of using them can be quite profound. SET was developed by Australian Energy Psychology pioneers Steve Wells, Psychologist, and Dr. David Lake, medical practitioner and psychotherapist. Many of the techniques and strategies used in SET are adapted and modified from Emotional Freedom Techniques (EFT), Thought Field Therapy™ (TFT), and other energy psychology approaches, although SET also has several elements that make it uniquely different from those approaches. Like it’s predecessor EFT, Matrix Reimprinting also uses the Traditional Chinese Medicine meridian system that has been used in acupuncture for thousands of years. 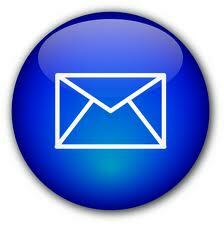 EFT has a long and impressive history of resolving physical and emotional health issues. The way that EFT works is that you bring to mind and verbalise, in a specific manner, an issue that you want to work with. At the same time you tap on points on your meridians with your fingers, and this releases stress and trauma from the body’s energy system, allowing the body-mind to return to a healthy physical and emotional state. Results for EFT have always been phenomenal, and have far and reaching positive consequences for our Western medical model of healing. Most recently its use for helping war veterans to resolve post traumatic stress disorder (PTSD) has brought EFT into the limelight, although it has already been used extensively widely worldwide by doctors, health professionals therapists and lay people alike. So how does Matrix Reimprinting differ from this already established technique? Well, having evolved from EFT, it also contains some important differences. For example, in conventional EFT tapping on meridian end points is used to take the emotional intensity out of a past memory. What you are left with is to be able to recall your most traumatic and stressful life memories without any emotional disruption or stress, which is obviously extremely useful, as negative past memories keep the body in a state of stress. However, with Matrix Reimprinting the memory is actually transformed. You can go into any past memory, say and do what you wished you’d said and done, bring in new resources, and create and transform the picture you have of that memory. Matrix Reimprinting has grown into a whole host of exciting protocols, including ones which can transform addictions, phobias, allergies, negative core-beliefs, birth traumas, relationships, and many more. Matrix Reimprinting also goes hand in hand with other healing modalities. So if you have a therapeutic practice, it can be integrated to help you clients resolve stress and trauma quickly and effectively. Once more, you can also apply it to yourself, meaning that it empowers you to take control of your personal transformation. Dawson Church, PhD is a health-writer and research who came to prominence with his book The Genie in Your Genes which reviews the research linking consciousness, emotion, and gene expression. His doctorate was earned in Integrative Healthcare at Holos University under the mentorship of neurosurgeon Norman Shealy, MD, PhD, founder of the American Holistic Medical Association. In circa 2005, Dawson Church began developing what is now known as Clinical EFT which is based on Gary Craig's original The EFT Manual plus supplementary material. Following Gary Craig's retirement from EFT in 2010 it was feared that the www.EmoFree.com website containing thousands of EFT case histories and articles would be lost, so Dawson Church setup his own website www.EFTUniverse.com and transferred the content to keep the archive going. This website alongside www.ClinicalEFT.com is the home of Clinical EFT. Dawson Church and also David Feinstein have lead the way in studies and research behind the effectiveness of EFT and at the time of writing Clinical EFT is the only flavour of EFT to meet the American Psychological Association (APA) Division 12 Task Force on Empirically Validated Treatments.